Apple on Thursday released iOS 8.0.2, which contains fixes for the bugs found in iOS 8.0.1 that disabled cellular service and Touch ID fingerprint sensors on the iPhone 6 and iPhone 6 Plus models. Apart from these improvements, the update contains those fixes that were originally included to iOS 8.0.1, namely, fixes for Phone, Keyboard, Safari, Sharing, SMS/MMS messages, Photo Library and VPN on the iPhones and iPads. Moreover, alongside the iOS 8.0.2 release, the guys from Cupertino issued an apology to users, who downloaded iOS 8.0.1 and encountered bugs. 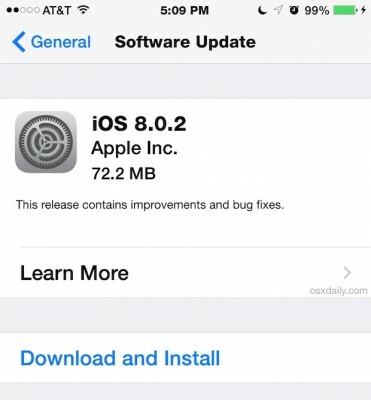 iOS 8.0.2 is now available for users, it fixes an issue that affected iPhone 6 and iPhone 6 Plus users who downloaded iOS 8.0.1, and includes improvements and bug fixes originally in iOS 8.0.1. We apologize for inconveniencing the iPhone 6 and iPhone 6 Plus users who were impacted by the bug in iOS 8.0.1. It should be noted, however, that a wide number of users in Australia are still reporting issues with cellular service and Touch ID sensor, so I honestly don't know if you should update or not. 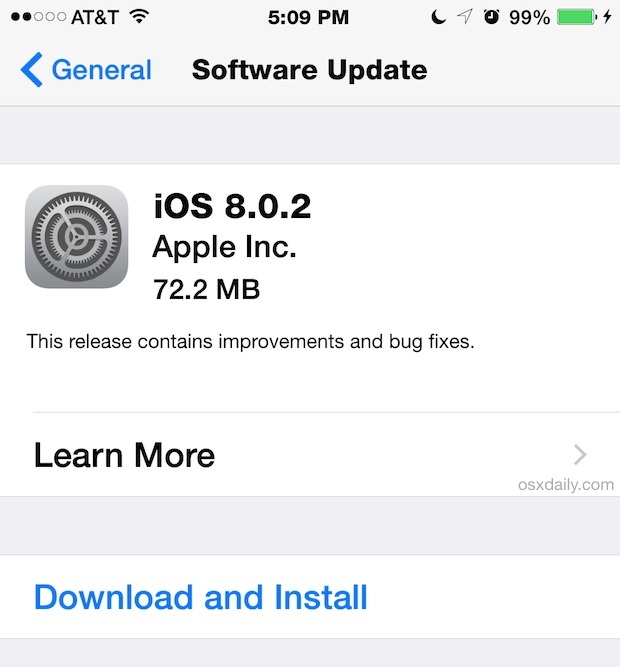 Are there any people here that have successfully installed iOS 8.0.2? What can you tell me about this update?